SAYiT provides support and social opportunities for young people who are lesbian, gay, bisexual, transgender, or affected by HIV. We work with young people aged from 12 to 25, including those who are most vulnerable or marginalised. Our range of groups provide expert practical advice, emotional support and social opportunities for those who need them - no questions asked. 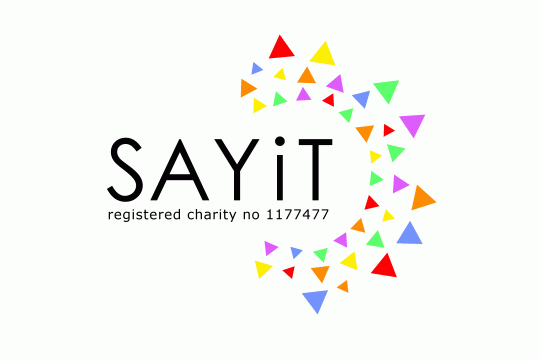 SAYiT runs several projects and groups that can help young people with real day-to-day issues and give you the chance to meet other LGBT+ young people in a safe environment. We also offer one-to-ones.Our groups are a great space where you can make friends, learn new skills and be who you are without being judged. We need volunteers to help to deliver work with young people in our youth provisions and detached programmes. Also qualified instructors for sports based work. We are keen to develop more community fundraising opportunities to help support our work and volunteers are needed for this.